Parts listed here are compatible with Dynamic Indoor Rowers (manufactured from November 2010–present). Dynamic There are 36 products. Our most advanced Performance Monitor. Features wireless heart rate monitoring, the ability to store workouts to a USB flash drive (sold separately), and is backlit for improved visibility in low light environments. See more info. Important! Be sure to select the correct machine (under "For which machine? Please choose.") when purchasing this part. 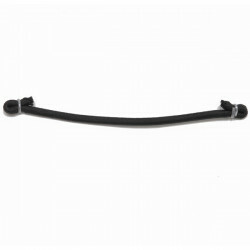 This is the handle drive cord for a Dynamic Indoor Rower. The handle drive cord is a single cord that is connected to the handle on one end and the foot carriage on the other end. Not for use on Model A, B, C, D, or E. See more info. For use on all Model D, E, Dynamic Indoor Rowers, SkiErg1s and SkiErg2s. This is the metal perforated part of the flywheel cage that wraps around the circumference of the flywheel. 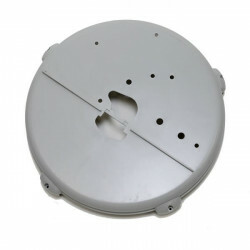 This part includes the connectors, screw and nut. See more info. 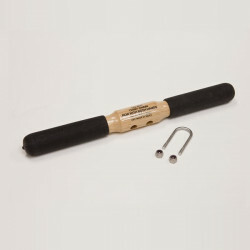 Replacement handle for the Model D, E and Dynamic Indoor Rowers. Overmolded grips made of soft rubber won´t absorb sweat, grease or dirt. Does not include U-bolt nuts. See more info. For use on all Dynamic Indoor Rowers. See more info. This is the original straight wooden handle that came with the Model A, B and C Indoor Rowers. It can be used on all indoor rower models. 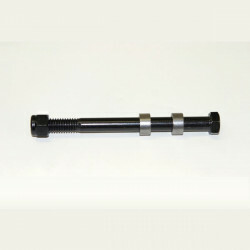 Includes black rubber grips, handle U-bolt and two nuts. See more info. For use with Model C, D, E and Dynamic Indoor Rowers. One of the 3-1/4 inch wide top seat rollers (two per machine; sold individually) that runs on the stainless steel track on the monorail. Includes mounting hardware (nut, bolt, and spacers) that hold the roller on the seat frame. See more info. For use on all Concept2 Indoor Rowers. 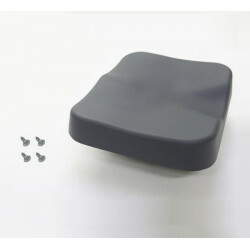 Replacement seat top. 12" wide, 10" deep, 1½" thick, with contours for pelvic bones and tailbone. Mounting screws (4) included. Original equipment on Model C, D, E and Dynamic Indoor Rowers. Can be retrofitted on all Model B and most Model A Indoor Rowers, replacing the original "kidney" shaped seat. See more info. For use with the Model A, B, updated D, E and Dynamic Indoor Rowers. These caster wheels fit on your indoor rower´s front foot (rear foot on the Dynamic) in place of the molded foot cap enabling easy movement for storage or use in another location. For use with Dynamic Indoor Rowers. 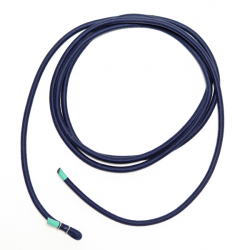 This is the 10´ 10" long elastic shock cord (or bungee cord) that recoils the chain and drive cord on recovery. The cord includes the metal clips on one end. See more info. For use with Model C, D, E and Dynamic Indoor Rowers. This is one of the small bottom seat rollers (two per machine; sold individually) that runs under the top edge of the monorail. Includes mounting hardware (nut, bolt and spacers) that hold the roller on the seat frame. See more info. For use with Model A, B, updated D, E, Dynamic Indoor rowers and the black SkiErgs manufactured from August 2014–present. This is the right caster wheel. For use with Model A, B, updated D, E, Dynamic Indoor rowers and the black SkiErgs manufactured from August 2014–present. This is the left caster wheel. For use with updated Model D, Model E and Dynamic Indoor Rowers. 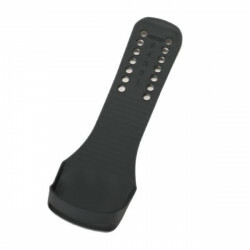 Replacement nylon footstrap with buckle, approximately 30" long by 1" wide with a screwhole drilled approximately 9" from the buckle end. Two per machine. Sold individually. For the Dynamic Indoor Rower only. 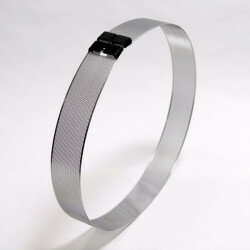 The clear plastic Wind Shield is designed to deflect air coming from the flywheel away from the rower´s body. For use on all Model B, C, D, E and Dynamic Indoor Rowers. This is the R8 bearing located outside of the flywheel. 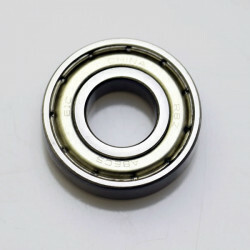 The corresponding bearing cup (part number 1013 or 258 depending on which model you have) is sold separately. See more info. For use on all Model C, D, E, and Dynamic Indoor Rowers and the SkiErg. Using this knob instead of a nut makes it easier to take the monitor on and off of the equipment. For use with Model A, B, C, D, E and Dynamic Indoor Rowers. 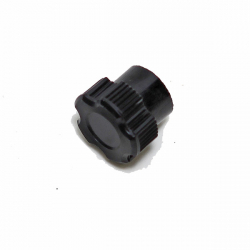 This is the hard plastic cap that goes on the rear and/or front metal legs of the indoor rower to protect your carpet or floor and keep the machine from sliding back and forth while you row. Two to four per machine, depending on age and indoor rower model. Sold individually. See more info. 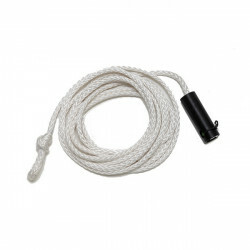 This is the shock cord (bungee) and anchors for the seat on the Dynamic Indoor Rower. See more info. For use with Model C, D, E and Dynamic Indoor Rowers. This is the hardware for the 3-1/4 inch wide top seat rollers (two per machine). Includes one bolt, one nut, and two spacers. See more info.